Thanks to Rachel Humphrey for supplying these pictures from her grandmother's photo album. 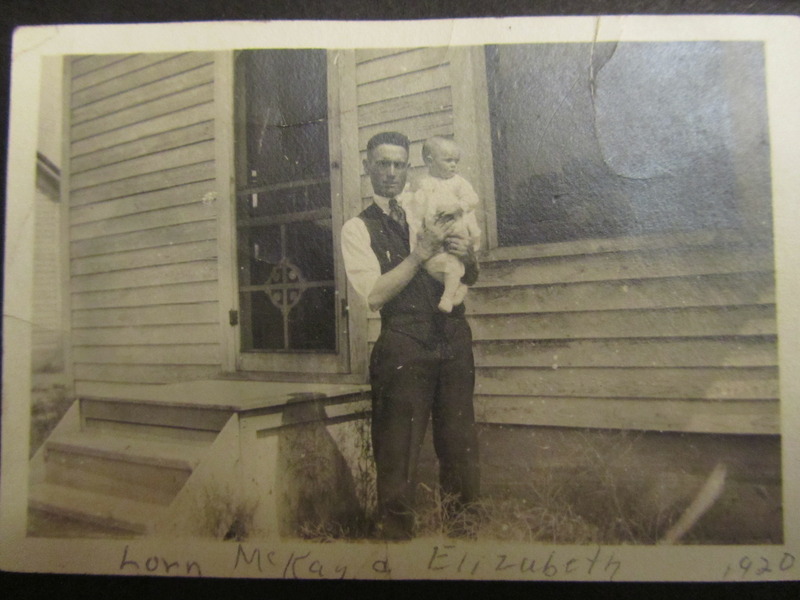 Lauren McKay holding infant niece Elizabeth, 1920, probably in North Dakota. 2 pictures of Lauren on a California beach with his niece Elizabeth (Fred's daughter). 1922. Missing portrait, I'll find it in sec: Lauren and Blanche, 1926? CA or Turtle Lake?. Family portrait of 5 adult McKays, summer 1926? Probably CA. From left to right: Naomi, Fred, Flora, Lorn, Blanche. Family portrait of 5 adult McKays plus grandchildren, 1926 Probably CA. 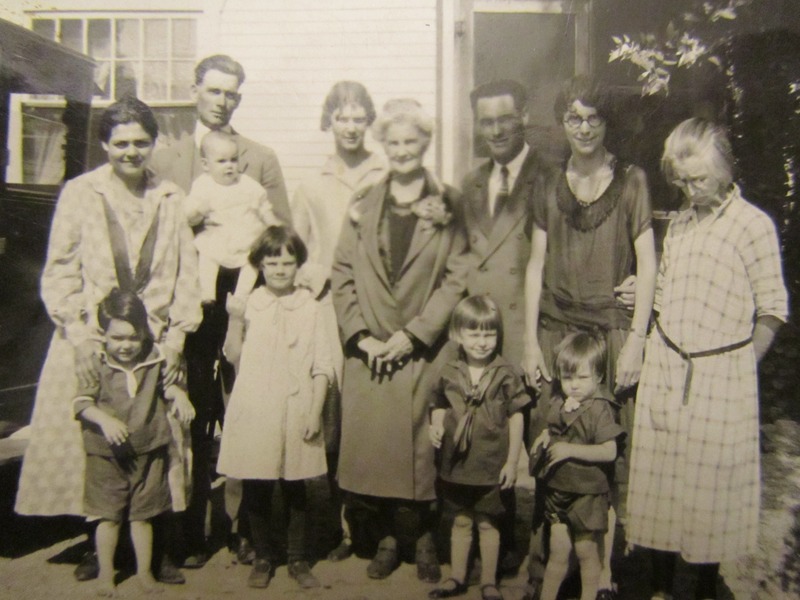 From left to right:1926 Naomi (Fred�s wife), Bart in front of Naomi, Fred holding Duane, Elizabeth in front of baby Duane, Bud (Amos Stockford), Flora (Fred and Lorn�s mom), Lorn, Eileen in front of Lorn, Blanch, Merwyn in front of Blanch, Sarah McKay. Sarah, also called Auntie Bill, is looking down so as to avoid showing facial scars. She was in a bad carriage accident in about 1905 in which she was badly injured, left with facial disfigurement and a limp. Three of her children died and her husband James seems to have left her soon after wards to run off with her cousin Jessie. Ouch. Family portrait of McKay cousins, about 1929, from left to right: Elizabeth, Eileen, Bart, Merwyn, Duane, and Maureen.